Intermittent Fasting Isn’t New I havebeen using this protocol myself and with some of my clients for some time now with great results although it is not for everyone. Results and goals can vary by each person with fat loss, muscle gain, better health, improved performance in your sport of choice and more. With all that also factors in the individuality of what is a person’s insulin resistance, current body composition (body-fat%), daily lifestyle, eating habits, macronutrient ratios (carbs/protein/fat), type of exercise program, frequency and volume of training, recovery demands, and so forth. Intermittent fasting actually can improve athletic performance, as long as you limit the amount of time you spend fasting. 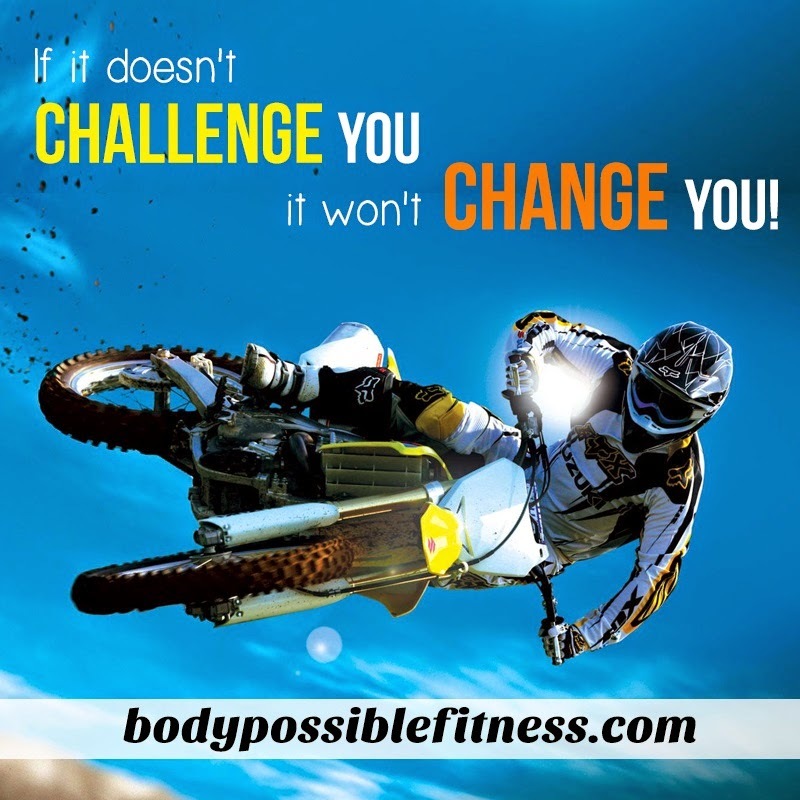 Extended periods of fasting are not usually recommended if you are exercising intensely. There are, however, techniques for fasting and exercising that can produce dramatic results. The benefits of fasting for endurance athletes come from a two-part approach: training during a fasted state, and competing during a fed state. Training during a fast improves performance by forcing the body to adjust to lowered glycogen stores. This adjustment results in the body using glycogen more efficiently. Training while fasting also stresses the metabolism and the muscles, forcing the body to compensate. As a result, the muscles become stronger. This sets up a huge boost when competing in the fed state– the body now maximizes it’s pre-workout fuel. Will I lose muscle or put my body into starvation mode? Short-term fasting is also beneficial for power training. Intermittent fasts lasting less than 24 hours will not cause muscle loss or prompt your body to enter starvation mode as long as you consume adequate calories and protein when you are eating. Weight training while fasting offers even more advantages. During a fast, the body uses protein more efficiently, giving a boost to muscle growth. Eat lean, healthy proteins to gain lean mass without adding fat. Some studies even suggest that IF can even help increase levels of Human Growth Hormone (HGH) during the fast. Deliberate intermittent fasting is a powerful weight loss tool. Fasting involves restricting calories and reduces hunger. Many people feel a reduction in hunger while fasting, and a feeling of accomplishment when they end the fast with a healthy, satisfying meal. While fasting, there is less calorie counting, less fixation on eating meals and less opportunity for overeating. Hormonal changes involved in fasting also promote weight loss, even if you don’t restrict your daily calories. 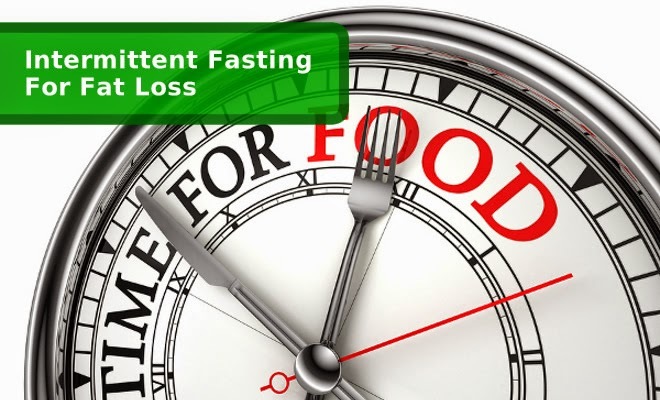 Fasting lowers the body’s levels of insulin, releasing more stored body fat. When insulin levels fall, the body uses it’s stored fat for energy. In fact fat becomes it’s primary energy source. This makes fasting a particularly useful tool for dieters, since it promotes the loss of fat specifically, allowing you to keep your muscle mass. 24 Hours a little extreme? My Fasting technique is 15-19 hours. So here is the formula that I use the most with myself and my clients. I’m going to give you two options of 15 and 19 hours but please feel free to do less or experiment on your own. I have experimented with various time durations etc and find 24 hours without food just a little extreme. I also like to start the fast in the evening so I can sleep through the early part of it and have less temptation. As a rule of thumb I try not to eat after 7-8pm anyway which I won’t go into here as that is a whole other blog. Not essential and depending on your schedule I like to work out just before so will generally do a weight training workout with a little HIIT say from 5-6.30pm Immediately followed by a large protein rich meal with plenty of vegetables. My fast starts around around 7pm (but could be 8 depending on my schedule). I try not to have too late a night so as to further reduce temptation but generally am tired from the workout and full from the meal. I’m going to sleep around 10-11pm but again not essential. I’m generally up around 6-7 and begin training clients so getting ready for work etc. I drink 2 glasses of water the minute I open my eyes, helps with hydration and hunger there is no limit to how much you drink water during this fast. I then like to train when I am completely empty before I start eating again so my favorite is Tabata training for maybe 4 blocks so with a warm up and final stretch workout time only 20 mins but you could just as easily go for a jog or bike ride or your preferred way of working out. Then I have a hearty protein rich brunch but generally my stomach has shrunken a little so not that hearty. If I’m feeling weak and simply need to eat I listen to my body and will workout then eat around 10am giving me the 15 hour fast. If I’m feeling OK I’ll push on and eat around 2pm giving myself 19 hours. I’ll use this protocol only once every one to two weeks at the most. Most healthy adults should have no trouble with an occasional, intermittent fast. This amount of time is different for everyone. 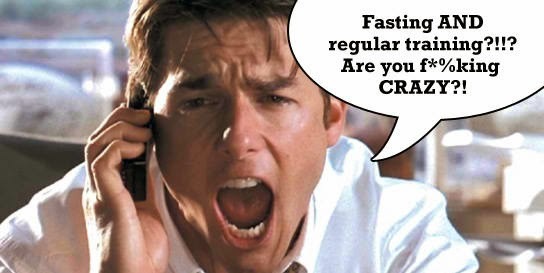 Fasting is not recommended for unstable conditions. I have found that Intermittent fasting improves athletic performance, benefits health, leads to faster weight loss and is easy to practice.